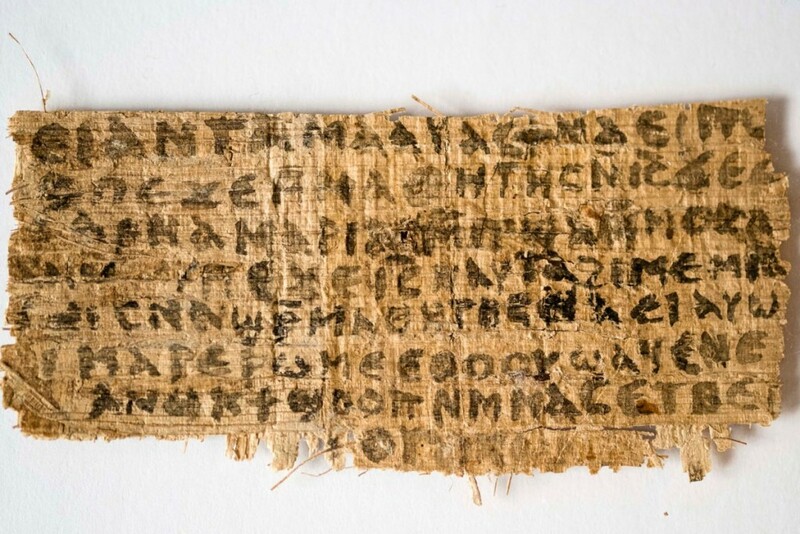 Karen King has finally gotten research on the fragment known as the “Gospel of Jesus’ Wife” published in the Harvard Theological Review (thank goodness too, as there were some concerns over whether the research would get space in a proper venue like this). As indicated, they’d just been waiting for the results to come back from the physical tests of the papyrus fragment. These physical tests include a comparison of the ink with other inks from antiquity and a carbon dating test performed on the papyrus itself. These tests don’t vindicate those who had been beating the drums for “forgery” from the beginning. On the other hand, they don’t take all the ambiguity out of the matter either, and there will continue to be those who support a hypothesis of modern forgery. The good news is that a healthy debate can occur, taking into consideration all of the most salient data, now that the physical evidence has been examined.